Sculpteo's brass material is composed of 80% copper, 15% zinc and 5% tin. It can be raw, mirror polished or mirror polished and plated. The final product is solid but susceptible to scratching and tarnishes quickly when exposed to air. It wears as would a brass product purchased from a mass producing jewelry store. Turn around time for our brass material is 7 to 9 business days. The plating option can extend the processing time by 2 days on average. That delay can vary depending on our 3D printers' load. The estimated shipping time is also calculated automatically as the object is uploaded. After creating your design with a program dedicated to 3D modelling and uploading it to our website, we automatically generate a set of supports for the model so it can be printed in wax. Those supports are removed after the printing process. Our in house 3D wax printer is a ProJet 3500 CPX HD. 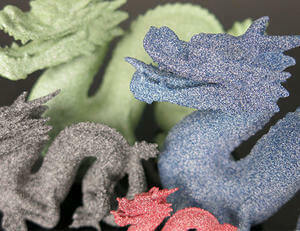 The 3D printer uses a Multi Jet Printing process to fabricate the wax model. In short, small liquid wax layers are deposited on a printing bed in a series of layers which fabricate the final product. This particular process allows for an extremely high level of precision in your designs. Supports that were printed to maintain the objects stability during the wax printing process are removed, and the wax model is covered with a stone-like material. Two holes are left in the stone to heat and drain the wax and refill with brass. The cast is then removed by hand to ensure the solidarity of the object. Our brass models are assumed to encounter prolonged skin contact, and will cause no harm in doing so. In fact, our brass models are particularly adept for jewellery creation. Brass oxidises in air, especially in humid conditions. We recommend keeping your brass models separately from your other jewels and to maintain them using a soft cloth slightly moistened with soapy water. We propose 6 different finishes for your brass object's exterior surface. Mirror Polish: The model is polished to a mirror shine in several steps through a tribofinishing machine. The mirror polishing uses a method of subtractive polishing, thus finer details may be less visible after the process. The inside of the object will also not be polished as it cannot be reached by hand. White Rhodium Plating: The electroplating technique is used to plate your brass model. During electroplating, the 3D printed object is covered with a very thin layer of white rhodium, which is considered to be a precious metal. White Rhodium is similar to white gold, and is used to protect your brass object from oxidation that may suffer from its exposure to air. 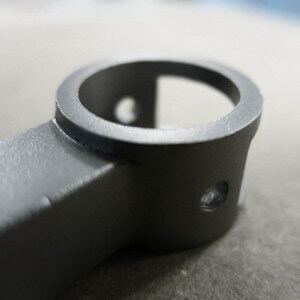 Black Rhodium Plating: As during the White Rhodium Plating, also in this case is used electroplating. 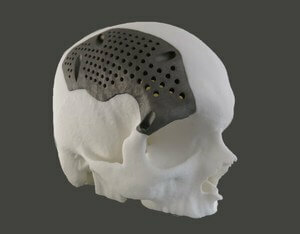 During electroplating, the 3D printed object is covered with a very thin layer of black rhodium. 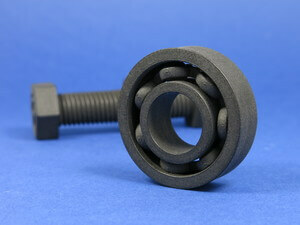 As black rhodium is a precious metal, it gives your 3D printed parts a dark grey tint. Moreover, it is recommended to use black rhodium plating finish on your brass objects as it protects them from oxidation. Gold Plating: During this procedure, a thin layer of gold is applied onto the surface of your 3D printed brass part. As explained in the previous plating options, this option protects the brass from getting oxidized. In addition, it gives your brass objects a shiny and elegant gold surface, perfect for jewelry and decorative parts. Pink Gold Plating: When you plate your brass objects with Pink Gold Plating, a thin layer of pink gold is applied on your brass model. This prevents the surface of your 3D printed from oxidation and it gives your brass items a pink-gold finish, perfectly adept for jewelry. The minimum size of your model was determined as a result of the casting. A model smaller than the parameters given is unable to complete a successful cast to be refilled with brass. A stemmed element is a design aspect which is at least twice as long as it is thick. For unsupported and stemmed elements or parts of the design with a particular design constraint, it is also important to respect a greater thickness in order to guarantee the object will not break. Please mind that if your model has a very weak geometry, it will need more supported structure to survive the whole casting and finishing process. Also, try to avoid the very sharp edges. Due to our intensive polishing process these edges will get rounded off, and the final result might be different than what you expected. With a 0.8 wall thickness, your design will be slightly flexible. To obtain more rigidity, we advice a 2mm wall thickness. Brass is a relatively malleable and heavy material, it can be distorted if too much weight is applied on an area of your object. We recommend that you thicken the most stressed parts, or choose a more fitting material to your design. Brass is a relatively malleable material. Most stressed and fragile area may be distorted. We recommend that you thicken them to avoid distortions. For your plated 3D printed objects, the polished/premium cast materials the minimum wall thickness is 0.8mm. In wire it should be 1.20mm. For your plated 3D printed objects, the minimum engraved and embossed detail level should be 0.3mm for raw and 0.35 for polished cast material. The depth to width ratio should be 1:1. If the depth of the model is larger than the width we can have problems in casting. For brass, the main determining factor in a details minimum size is the casting process. As an object is copied into a mold then refilled with brass, some etched and embossed details become more complicated to fill. Thus in order for a detail and text to be visible and will not break we recommend following our recommended sizes at the very least. To ensure a better visibility, details' width must be at least as big as their depth. Brass models do not have the ability to be printed with objects enclosed within another object. This is because the object is first printed in wax, which requires supports for otherwise free-floating objects. Clearance is the space between any two parts, walls or wires. Products are printed in wax, and then a liquid plaster mold is poured around them. If the clearance between features is very small, the plaster may not fully infiltrate the tiny gap. And if it does, a plaster wall that is too thin can break when the liquid metal is poured around it. Both issues can cause defects in your product. To ensure the successful creation of your product, make the clearance between walls and wires greater than the indicated minimum. If your clearance is too small, try making the gap bigger, or consider fusing the features if their independence is unnecessary. Assembled pieces are currently not possible with our brass printing option. This is not possible to 3D print a 3D file containing several objects in brass.